A trusted family owned and operated quality lumber source since 1946. Let us be your source for quality and custom lumber and remanufacturing. 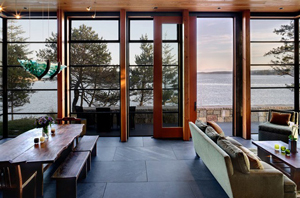 Located in the Pacific Northwest, Coast Lumber, Inc. was founded as a supplier of quality wood products for the door and window industry. Coast Lumber specializes in supplying Cedar, Hemlock, Fir, Meranti, and Redwood, supplied as raw lumber or custom sized and molded components. We also have extensive experience and knowledge to meet your expectations as supplier of custom edge glued products. Coast Lumber stocks a full line of panel door parts, run to pattern stiles and solid rails, as well as finger joint, T&G and edge glued panels. We have the capacity to run large scale jobs and the capability to run custom jobs upon request. Since 1998 Coast Lumber has held an annual golf tournament which benefits the Northwest Therapeutic Riding Center in Bellingham, WA. If you are interested in golfing in Coast Lumbers annual Rider Cup Benefit Golf Tournament, please contact Phil Simmons for more information.